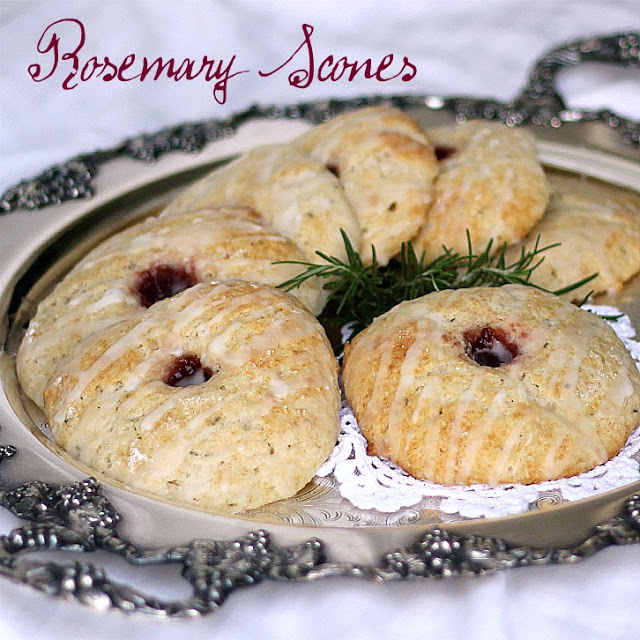 When I saw this recipe on Julie’s blog, A Little Bit of Everything, I was intrigued by adding a strong herb like rosemary to a breakfast scone. (Julie got the recipe from Giada De Laurentiis) John LOVES Rosemary and he LOVES scones but I wasn’t sure what he would think about them together. It was early Sunday morning and the house was quiet so I headed out the side door to snip some of the highly aromatic herb. Well, we both really liked this recipe! NOTE: Julie thought the glaze was more than she needed and suggested cutting the recipe in half. I followed Julie’s suggestion and it was plenty. My Rosemary plant was a gift from a friend. I grew it on my kitchen windowsill for a couple of years then transplanted it to an outside container where it has been for several years. I read that Rosemary won’t survive winters that get below 30 degrees F but even in our cold and snow, the plant continues to thrive. Here is my new raised bed where I have divided and transplanted my herbs that were growing in pots. I added a few vegetables where I had space. 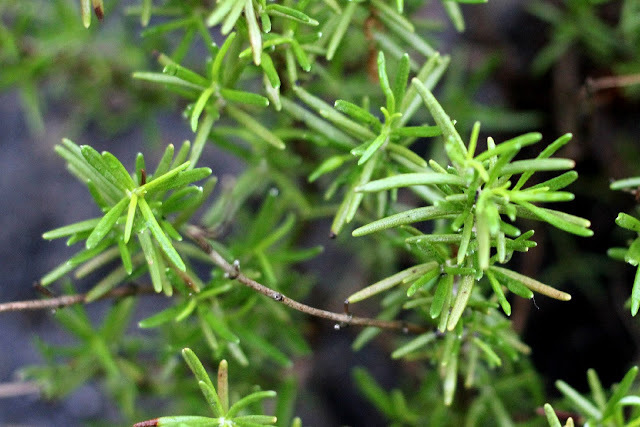 Rosemary (Rosmarinus officinalis) is a woody, perennial herb with fragrant, evergreen, needle-like leaves. It is native to the Mediterranean region. It is a member of the mint family Lamiaceae. The name rosemary derives from the Latin name rosmarinus, which is from “dew” (ros) and “sea” (marinus), or “dew of the sea” because in many locations it needs no other water than the humidity carried by the sea breeze to live. It is considered easy to grow for beginner gardeners, and is pest-resistant. 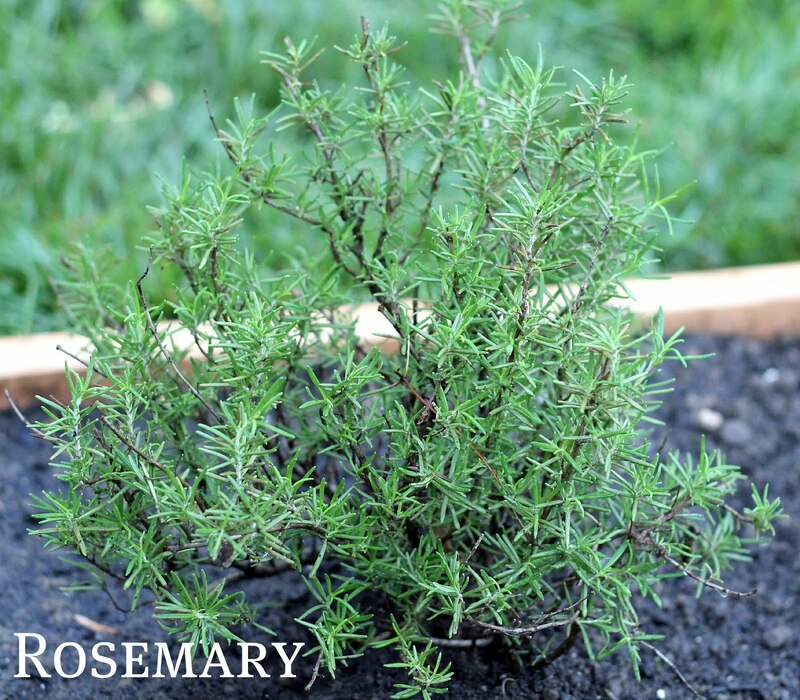 Rosemary grows on friable loam soil with good drainage in an open sunny position, it will not withstand water logging and some varieties may be susceptible to frost. It grows best in neutral to alkaline conditions pH (pH 7–7.8) with average fertility. It can be propagated from an existing plant by clipping a shoot 10–15 cm (4–6 in) long, stripping a few leaves from the bottom, and planting it directly into soil. Rosemary is one of my favorite herbs, and have grown it for years. I love to walk by and grab a stem and run it through my fingers, just smells so great. 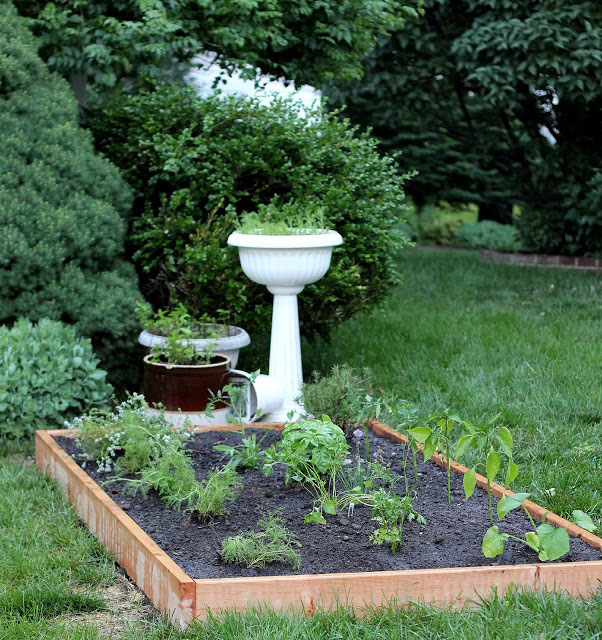 Great job with your herb garden. And as always great recipes. Thanks for sharing . Ooh, it's bedtime and I'm thinking of scones! What to do now. I better say Good Night! I love Rosemary – such a wonderful aroma!! Really like your herb garden – mine used to look like that 7 years ago before I had to go back to work. Now the boards are rotting and the weeds are taller than I am. Oh – to have more time in the day!! Oh, these scones look fantastic. I want to try this recipe too. Just yesterday I made sour cream scones, but I would love to add more scone recipes to my cookbook. Thank you for sharing this one. I will definitely try it. Those scones look so delicious and beautiful. I've had rosemary make it through the winter and rosemary that didn't. I think the difference is growing it in a big pot. The ones in big pots live and the ones in small pots don't. I would guess because the roots don't freeze out or maybe retain more water because I am not good at watering in the winter. They look delicious! And what a nice garden, so many nice fresh herbs. My rosemary survived a number of blizzards. Not as well as yours but still thriving. 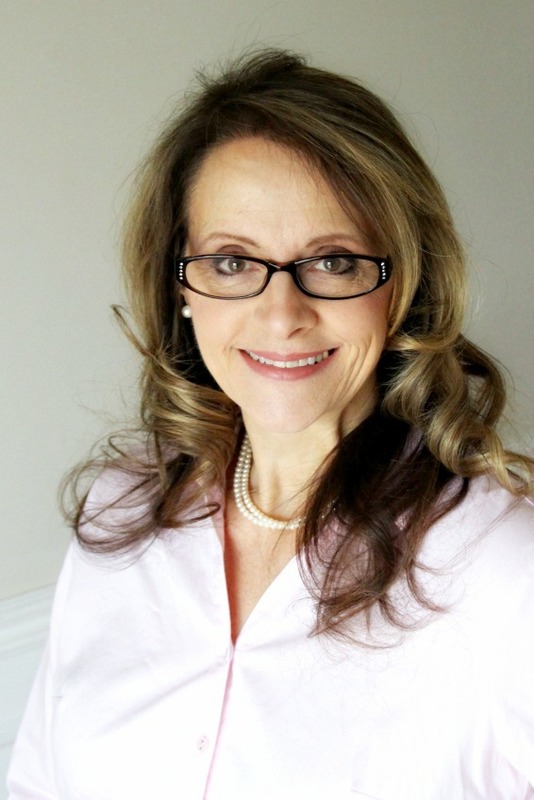 I can almost smell your fresh herbs, Lorraine! These scones sound/look delicious. I love your new herb bed. When I had rosemary at the old house, I would tie a sprig to Christmas packages – to me rosemary smells like a Christmas tree! Hi! Thanks so much for the shout out!! So what did you think? We loved them but I can't remember if we had them for breakfast or just as a treat! Great herbs in your raised bed!! I love trying all types of herbs. Hope you had a wonderful Memorial Day weekend.